The units provide opportunities for the children to explore all areas, as well as listening to music from around the world and different periods of history, playing a variety of instruments, singing and using technology to create music. Many of the units will start with some theory/listening/appraising lessons followed by a number of practical, hands-on lessons, where the children will have access to a wide variety of musical instruments,including percussion and keyboards. As they move through the school and their skills in independent group work grow, they are allowed more opportunities to compose in groups around the school. These sessions are monitored and guided closely by their music teacher but gives them the all important freedom to let their musicality flow. 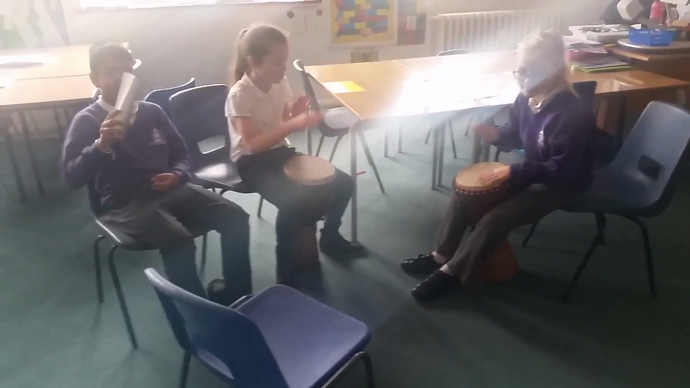 We have found these sessions have allowed the children to produce some impressive results musically, and also have proved to be valuable chance to practise teamwork/collaboration/social skills as they move through their musical journey together. 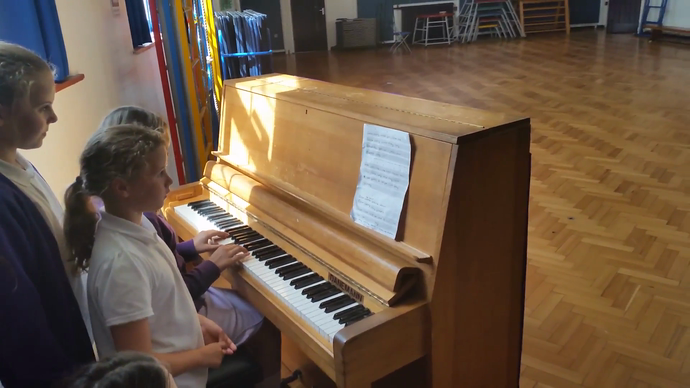 In 2015, a class set of keyboards was purchased and are used frequently in Music lessons. All the children will be be learning how to play the keyboard over their time at Wilshere-Dacre. If you would like any copies of the music they are learning, please do not hesitate to ask.